ReMe is not Care Planning Software – It’s Activity Based software that delivers activities that improve person centred care. And the output data can be integrated into your care planning system. ReMe is not Clinical Data – It collects a new and unique data set we call Electronic Life Records (ELR; likes/dislikes, preferences, moods, habits, wellbeing, Life Story, memories, family, etc.) that is owned by the person cared for and the family; that provides GDPR compliancy for personal data, enables enahnced person centred care and which can be your activity and care planning process and systems. 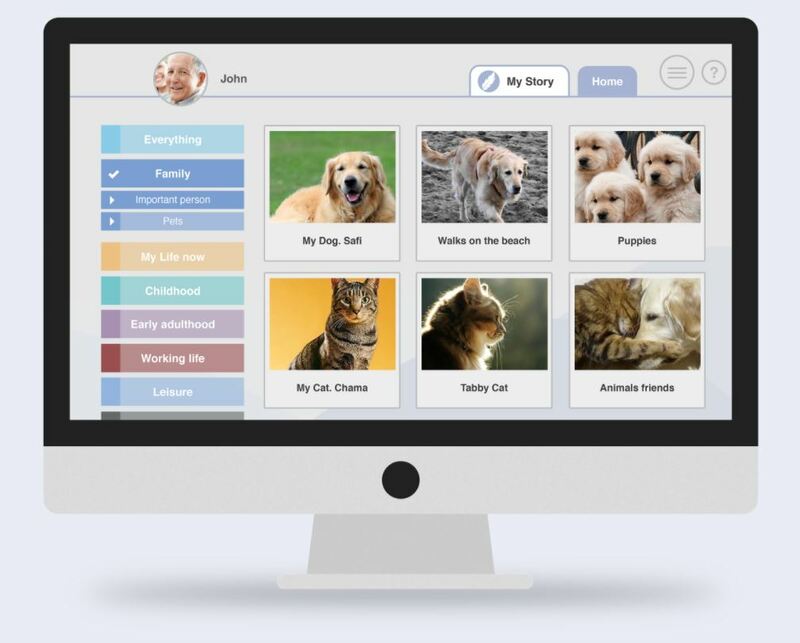 ReMe is not a Family Photo Album app – Yes, ReMe captures photos but unlike other apps ReMe also has an ‘explore and discover’ process that finds content that has therapeutic impact and assists develop care strategies. Reme uses content to really improve care and discover what engages the person cared for. ReMe is a 1:1 and a Group Activity Tool – not only does ReMe possess readymade games, films, music, therapy, etc., but it also provides a physical, yoga and meditation suite, and a means to create your own group activities that can be shared across your care facilities. ReMe improves care provision. And ReMe is also a Business Tool – ReMe also provides client acquisition and nurturing tools, e-learning, and management, family and regulatory body reporting. ReMe saves time and money. The result is that those cared for are better known, families are better informed, carers better trained, supported and satisfied. Activities are more varied and easily created. Well-being and care are improved and evidenced. Low cost and easily adopted, ReMe’s a win: win for everyone. ReMe first gains information at the point of client acquisition and then assists in developing the care plan. And from this GDPR compliant and securely housed knowledge ReMe is able to build a personal Profile of the client and so delivers activities that are illustrated with unlimited bespoke internet derived content. The family are invited into the ReMe Care Circle and can remotely upload photos, create music playlists and provide valuable insight into their family members life, interests and preferences. ReMe learns of the clients Life Story and their likes and dislikes on an ongoing basis, facilitating enhanced carer: client engagement, person centred care and the ability to develop acute care planning based on enhanced knowledge of the person. In brief, a carer will know what topics were engaging the person or the group the day before and therefore will be able to continue to explore these topics, thereby improving the activity and personalising the care process. That’s unique. Offering also highly cost effective daily therapy, entertainment, reporting and family reassurance, the system helps carers gain a sense of self worth through discovery and job satisfaction. Dave has mid stage dementia. Sometimes agitated, he has favourite words that he repeats often. One of these is ‘tank’. Being a plumber, carers often used ReMe to show him images of plumbing and of course included water tanks, to seek to gain significant response. He showed little interest until ReMe ‘did what it does’, which was to show other options for the word ‘tank’, as part of it’s exploration process. It showed a military tank, at which point Dave excitedly quoted a serial number. The carer duly noted this on the image and recorded his voice over one of the tank images. This caused ReMe, at the end of the session, to automatically send an email to all the family members in Dave’s care circle alerting them to the fact that he’d shown an interest in tanks. 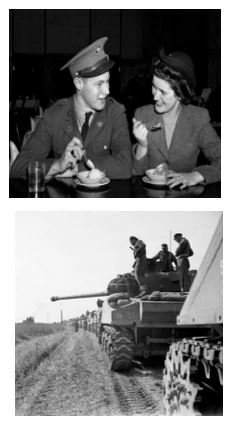 His brother in Auckland realised that Dave had been briefly in a tank regiment after the war and so he logged into ReMe, viewed the reminiscence session and voice notes and uploaded photos of Dave sitting on a tank gun barrel in Germany eating an ice cream. When the next reminiscence session was run these images were present and the carer explored this content with Dave. He was responsive and a rewarding seam for ongoing discovery, for both Dave and his carers was discovered and this theme is now used as a means to calm Dave when he is agitated. Some sessions later he started to talk about how he met his wife … a cognitively stimulating voyage of discovery was begun. When Adrian was taken into the garden to participate in gardening with a group in the care home, the carers were surprised by his interest. They took photos on the tablet and these were automatically recorded in a ReMe report usable by the care home for admin and reporting. The images were also automatically posted in Adrian’s My Story area as an activity album and as a newly discovered theme of interest to Adrian. 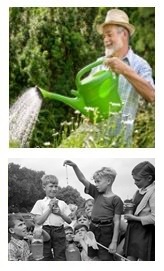 The family care circle was automatically notified of this new interest and responded by uploading photos of the various gardens that had been in Adrian’s life – and gardening has now become a regular theme for carer engagement. New carers can instantly know what was engaging Adrian the day before. For example, a family tree house was particularly memorable for him and for his visiting grandchildren. He then remembered a game of conkers with his brother and images were found to cement and explore this memory. These activities, subsequent bespoke person centred reminiscence sessions and family engagements were all automatically recorded and available in summary report form for inspection by the CQC, who were impressed by the bespoke and person centred nature of carer engagement with residents. Jane had a recurring hip problem. She was admitted to the dementia friendly ward. As they use ReMe they received an automated email from the care home so that upon admission they accessed Jane’s ReMe My Passport with its basic health conditions, risk data, up to date This Is Me and knowledge of what was engaging her yesterday. During the stay the nurses easily engaged using ReMe’s knowledge of Jane and delivered the same bespoke therapy and entertainment that was familiar to her. ReMe assisted in calming strategies so reducing resort to medication, and improved wellbeing. They viewed Jane’s ReMe wellbeing reports and with just five simple questions kept them up to date. When the family visited they used ReMe to achieve easier communication on topics known to engage and it was discovered that Jane liked to talk about seals. The grandson created a ReMe session on the topic. Upon return to the care home, the carers found this session and continued to use it to maintain engagement and built a group reminiscence session for other residents, which has proved popular and has helped Jane develop rapport with other residents. 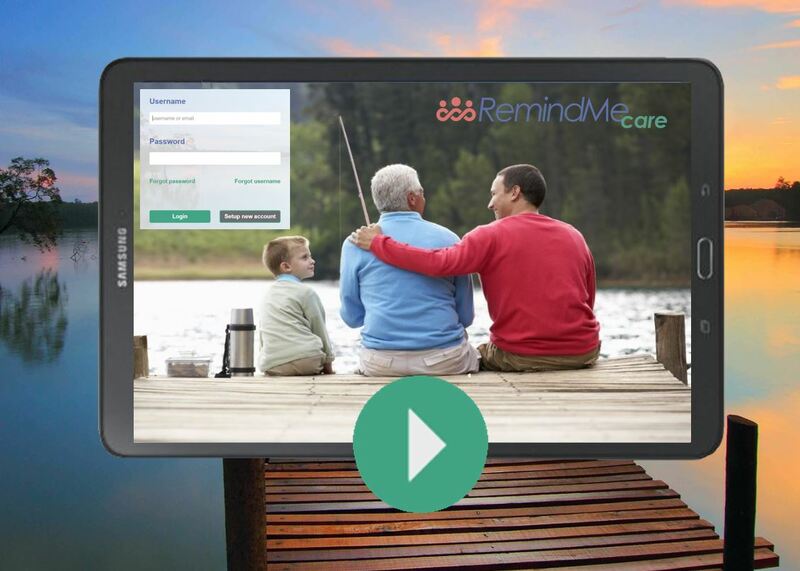 RemindMeCare improves care delivery. But the results of enhanced person centred care, improved carer engagement, remote family connectivity, digitised data, quantifiable admin and automated family and CQC reporting, are also organisational benefits that achieve time savings, reduced costs, improved staff morale and easier client acquisition- any one of which justifies the cost of ReMe for a year. … ReMe can save you in excess of £5-8k per year per care facility. We’re really pleased to have found a comprehensive, affordable and fun person centred care system that really delivers a quick return for investing in technology and tablets. 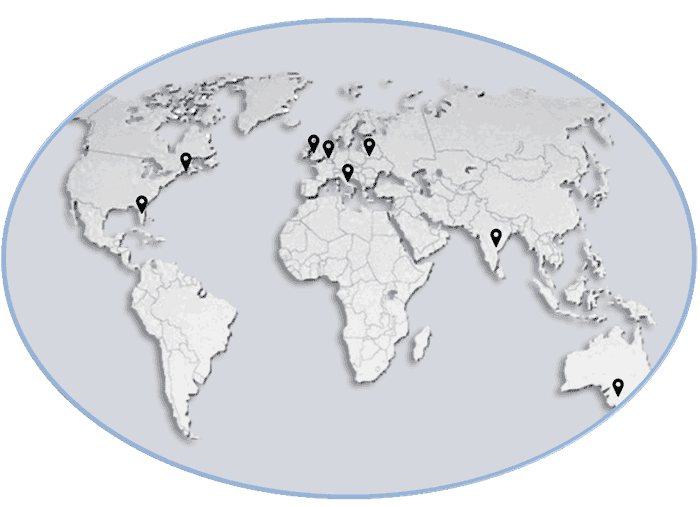 It’s easy to trial and purchase ReMe, from anywhere in the world. ReMe can be learnt just from viewing the videos embedded on every page. But we’ll remotely help you with adoption and provide webinar training whenever you require it. – Take a 2 week trial and train a staff member as the ReMe ambassador – it’ easy. – We’ll support you wherever you are. – Purchase a monthly subscription. You can cancel at any time. That’s it. There’s no reason not to take a look. There’s everything to gain. RemindMeCare enables them to build a profile of the person and continually helps staff to learn and understand the person’s life history. . . it’s fantastic to be able to fully engage with families in this way. . . it has made such a difference to the people living here in such a short space of time … it’s particularly good in helping us engage with people living with dementia. We are working with Remind me care to explore how advance person centred care can positively impact on reducing agitation, enhance nurse: patient engagement, improve mental and physical wellbeing and reduce the need for antipsychotic medication and facilitate earlier discharge. It’s early days but we do believe that tech solutions like Remind me care have an important role to play in improving the patient pathway and patient experience for those living with dementia. With limited staff on a dementia ward, it’s crucial to find means to occupy the time of the patient and in a manner that engages and ideally reduces agitation. RemindMeCare makes it possible for the ward to improve their delivery of person centred care and to develope acute care strategies. Patients simply enjoy talking about their past...the unique profile created by ReMe makes the system a lot stronger than the other computer based systems that I have had experience with. We can use RemindMeCare with other clients also that do not have dementia – it’s fun for anyone! I have to say RemindMeCare is brilliant - it's filled the gaps where there's no other software available. As a small home, we've been able to use tablets and go digital for little cost. When you walk into the care home of the future, you should hear laughter and see engagement, and self esteem being apparent – and RemindMeCare offers that potential. I believe that improving person-centred care is at the heart of reaching outstanding care – and RemindMeCare’s activity based software has the potential to do just that in today’s care businesses. RemindMeCare is such a cost effective way to get carers and activity coordinators using tablets to get to know service users. With functionality such as My Story, remote content upload and reporting, ReMe is packed with tools that really help in the care and management process…it’s fun and easy to use. It's only by thinking about each person deeply, that we can respond to their unique needs and give the best possible care. If you can’t find the answer to your question below, then please contact us. Or why not book a presentation by clicking here. More of your client’s families expect to be able to access your broadband to use their tablets when they visit. Our personal experience was that it was simply frustrating to find that our care home just did not have broadband. Especially for the kids. Why should it be necessary to tether to a mobile when visiting a care home? Kids want to engage with their grandparents and do so using their iPads to show their photos, their games, etc. It’s becoming more and more critical regarding client acquisition, to be able to show prospective clients that you offer technology to improve their loved one’s daily experience and to offer reporting to them. You probably already use google to find content that engages and are looking for an easier way to access, collate and present such content, and to better personalise it. You want to make better use of tablets. You'll be able to save time and money by replacing paper and pen with the keyboard. You will. The requirement for reporting and documentation grows almost daily. When we first met with friends that owned care homes, it was one of their principle frustrations. Rostering, reporting to head office, scheduling entertainment, medication, client assessment, liaising with families, CQC reporting. The list is endless. As she put it, ‘if you can make a dent in any of that easily, I’ll love you forever … in fact I’ll even buy ReMe’. We can’t get rid of it all, but we can make a chunk of it seemingly disappear, or at least be easy, even fun to deal with. The bits we deal with include initial care assessment, ie the This Is Me, family history, early stage care planning, family connectivity, entertainment scheduling, activity recording, family reporting, head office reporting, CQC reporting – these we can streamline, condense and manage digitally. We’ll save you time, provide an organisational framework that, for example, makes it easier for new staff to access vital data to familiarize themselves with clients – and of course save you money. You need a better way to prepare and present to the CQC. The trouble with the CQC we have been told time and time again, is that they often cannot ‘see the wood for the trees’. Not their fault of course as care is complex. But when it comes to regs 9 and 10 (person centred care and dignity and respect), it’s currently only words that are presented by the care home to the inspector. We’ve been in homes that we believe would easily pass Andrea Sutcliffe’s ‘Mum’s test’, but which have failed these two regs, since the ability to define their care process just did not do justice to their actual care provision. At the request of such homes, we built the ReMe CQC reporting module. At present it just addresses regs 9 and 10. But if you use ReMe regularly it will collect data such that at a press of a button it will print out reports that quantify your care delivery, that list your entertainment, therapy and general daily activities undertaken and that present proof of family engagement and contentment – a report that will satisfy the most rigorous of inspectors. That’ll save you time, money and perhaps even some sleepless nights. You’re looking for a way to provide cheaper and better entertainment. Entertainment’s supposed to be the fun part. It can be rewarding for everyone. And it is. But behind the smiles is an organizational process that is non ending. Whether it’s establishing what will engage those residents that are not responsive or finding outside entertainer’s that are cost effective. Whether it’s collating the data often needed, such as music playlists, sing along song sheets, popular videos, it all takes time and money. ReMe is activity based. Everything that it does is geared towards providing engagement and therapy through fun. To achieve this, it collects data. Data regarding residents likes and dislikes, data regarding content, data on activities. The result is that ReMe is able to provide entertainment that will really resonate with your residents as it’s bespoke to their interests. And it will not cost anything. Whether a music activity based on their favourite songs or on a ‘theme of the day’ such as film music, big band music, etc., or a ‘My Favourite Videos’, or ‘My hobbies’ presentation, all such content is easily accessible, collatable and made available for use in regular entertainment slots throughout the week. ReMe reduces your entertainment organisational work load and adds, even improves your ability to engage your clients. And it’s free. You want to make it easier for your activity coordinator to create, schedule and deliver activities. This is a common reason that care home managers are buying ReMe. For activity coordinators are increasingly using internet content as the basis for entertainment. But recording it for future use and scheduling an activity into the future is not easy. We built the activity coordinator module at the request of one of the large care home groups – and added an activity scheduling calendar, that links in with the calendar in each residents area, just to give them real control over the activity scheduling process. Making the creation and administration easier means there’s more time to spend with the residents – which of course is what everyone wants! We'll have to install broadband and buy tablets, and they'll just get broken! But regarding broadband, it’s nothing that you probably don’t already have at home. It’s not complicated to install, it’s done for you and just works. Broadband of course is not perfect, but we’ve established a deal with Plusnet to ensure that you get the best fibre… fast and cheap. But we can help you if you further if want. As well as arrange the broadband install, you can also buy tablets from us. In fact, you can buy the complete kit. And if you want to have an even better deal, we will give you 3 free tablets for each care home in your group on the only condition that you sign a two year ReMe subscription contract. Your tablets will then be insured for breakage, loss and theft. Won’t ReMe require a complicated install and will it fit with our existing technology? ReMe requires no install . Think LinkedIn or Facebook. All you have to do is enroll carers and clients. And add content. It’s as easy as that. If you have existing technology ReMe will run alongside and may be integrateable with it, should you want that. Just contact us for further details regarding integration. Won’t it require staff training? And they won't want to use technology. It depends on what you call training. Learning to use ReMe is easier than learning to use a mobile phone. Because its image driven. And we provide videos for every step of the way. And it’s fun enough that your staff will probably learn how to use one evening at home by using our video training module. What if we buy it and it does not work and does not get used? You pay monthly, with no contract and no set up fees. And the most you will lose, if you decide to stop using ReMe after a month is one month’s fee. That’s about £150 on average. And since we know that won’t happen, and has never happened yet, if you do decide to stop using ReMe after the first month then we’ll give you your first month’s money back … that’s a promise. What tech should we buy first? Do we buy care planning software, admin software or person centred care software? That’s a difficult question to answer. It really depends on your business. But here goes. If you have Care Planning software, ReMe provides a care assessment process that will enhance your care management system. It supports it and soon will be able to integrate directly. If you do not have Care Planning software, ReMe provides a simple and highly cost effective solution. For whilst ReMe is not a Care Planning system, its care digital care assessment process is so comprehensive that it can inform your existing manual care planning process so that you may find that you do not need to install a care planning software system just yet. Therefore, as well as fulfilling its core purpose of enhancing person centred care, ReMe can also assist with care planning and assessment. As you will see below, ReMe covers a broad array of the functionality that you’re probably currently considering, unless you already have software already installed. How can we decide what to buy, there’s so many companies out there? There are, but in the reminiscence and person centred care field, they’re yesterday’s technology. We know that sounds arrogant. It’s not meant to be but it’s simply true. It won’t be true forever of course for change comes fast these days and no doubt something will surface from Silicon Valley one day (but of course we intend to grow as new tech arrives, so we’ll keep up to ensure ReMe evolves). So at the moment in terms of cutting edge tech, breadth of functionality, low cost, etc., in the field of reminiscence and person centred care, its ReMe that leads the field. But just to help you establish that for yourself, click here for a comparison chart. Is it really worth spending the money and wont ReMe be expensive? hat’s an easy question. There’s no doubt that ReMe is worth the money. Because there’s no risk as you pay monthly – and there’s no contract. And mainly because you will save, even gain, more money than you will spend. Take a look at the chart below. OK, yes it’s a simple analysis, and this particular chart is geared to care homes. But it does express how using ReMe can save money, even assist with revenue, and generate a return on investment. In fact these figures may be conservative. For example, what if a care facility gained two prospective clients because they liked that they would be provided with reports remotely and automatically regarding the person centred care that you’re providing to their family member? And what if not one but two members of staff decided not to leave their jobs, courtesy of the improved sense of job satisfaction and self-worth that ReMe can achieve, thereby saving recruitment and training costs? We’ve made ReMe intentionally cheap. Why? Because our mission is to have ReMe be portable care, so that it stays with the person from diagnosis to acute ward care; so that the person can have what our families did not, which is a repository of knowledge that grows over time and which travels from care sector to care sector, informing and enhancing the care process. ReMe is a social impact business so it must be affordable for everyone across the care journey. To achieve this, ReMe must be cheap. And at less than £0.8p/person/day, for the average care care facility, we believe it’s as cheap as chips. 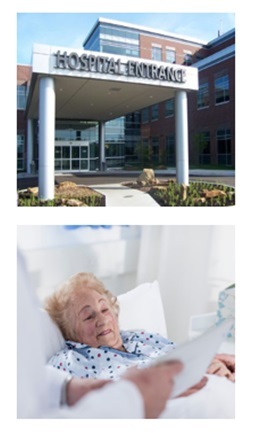 How can it work for different care facilities other than care homes? For the answer choose from below. We will be bringing more functionality into action over time, and that is specifically geared for each sector. But at the present, yes it’s a case of one size fits all. And that does mean that each care facility will need to use ReMe in the manner that best fits them. But there is ample functionality that works for each care sector specifically, and much that crosses over, such as the use of music as therapy and/or entertainment, care assessment and personal profiles. ReMe was built initially with care homes in mind. It has a broad range of functionality as you will have read. But it fact we have found from experience that different care homes, with different residents with different need, not surprisingly use ReMe in different ways. For some will use ReMe for 1:1 therapy and for establishing acute care calming strategies predominantly, whilst others, with earlier onset dementia for example, will use ReMe mainly for group entertainment. Since much of ReMe is activity based, importantly it is possible to program ReMe into a care homes weekly activity calendar. For example, the following shows the usage of ReMe in a typical ReMe enabled care home across the week. Can it work for Dom Care? We’ll be bringing more functionality into action over time that is specifically geared for each sector. But at the present, it’s a case of one size fits all. And that does mean that each care facility will need to use ReMe in the manner that best fits them. In the case of dom care, ReMe is used for its ability to quickly inform a visiting carer of the best means of engagement with their client, to provide a music playlist that can be played upon arrival, to be able to quickly learn of topics that can be discussed that will engage. Dom care businesses are able to offer their clients an extra hour or two, perhaps at a special rate, that includes a ReMe session that provides not only a rewarding bespoke entertainment for the client, but also an outcome that includes a reminiscence session report and a wellbeing report. With the facility to run skype and to upload personal content remotely, ReMe can therefore benefit everyone involved in the dom care business; the person cared for, the family, the carer and the business owner. ReMe for Live in Care. We will be bringing more functionality into action over time that is specifically geared for each sector, but at the present, it’s a case of one size fits all. And that does mean that each care facility will need to use ReMe in the manner that best fits them. It’s for this reason that ReMe is already being used extensively by the biggest live in care companies in the country, including Helping Hands. Using Reme in Day Care Centres and Memory Clinics. We’ll be bringing more functionality into action over time that is specifically geared for each sector, but at the present, it’s a case of one size fits all. And that does mean that each care facility will need to use ReMe in the manner that best fits them. Day Care Centres and Memory Clinics will very often use ReMe for 1:1 therapy sessions, as well as for group entertainment. Some will use the management functionality extensively to replace current pen and paper practice, whilst others will seek to engage remote family. There’s opportunities to use ReMe in many different ways. ReMe's role in Ward Care. We’ll will be bringing more functionality into action over time that is specifically geared for each sector, but at the present, it’s a case of one size fits all. And that does mean that each care facility will need to use ReMe in the manner that best fits them. For ward care, ReMe can simply mean the difference between having effective calming strategies based on tried and tested experience and knowing little about the patient. With the means to access knowledge and already informed This Is Me documentation, not only is time saved but better care can be provided. Won’t it just be out of date in a year or two? No. ReMe will just get better , because it’s not an app like many systems, its cloud based software that we can adapt and add to easily. So you will not find that ReMe becomes out of date or that another company launches that has something that is better. For we will be able to incorporate any new system components as and when appropriate. What happens when ReMe goes wrong and breaks? It won’t. Its cloud based so it cannot go wrong. Your broadband may have problems but ReMe will not. We may have systems maintenance occasionally and will offer updates as we upgrade the system, but that’s all. It will be too expensive to buy enough tablets for multiple care homes. Depends on the type of facility and the package you require. If you take a 2 year contract with ReMe we will give you 3 free tablets for each care home, which will include insurance for breakage, loss and theft. We're a group. Surely group purchase, bespoke services and design amendments, across a group will be difficult? We have provided ReMe to many groups across Europe and the US. We have made amendments to ReMe to suit their needs. We can do the same for you. If you wish to purchase RemindMeCare across a number of units within a care business, please contact us directly so that we can assess your needs. For we’re also able to provide bespoke services, such as the design of specific forms, software services to fit required needs and other packages tailored to fit different types of users, such as assisted home living, specialised residential services, local authority needs, etc. Just call us for a chat.